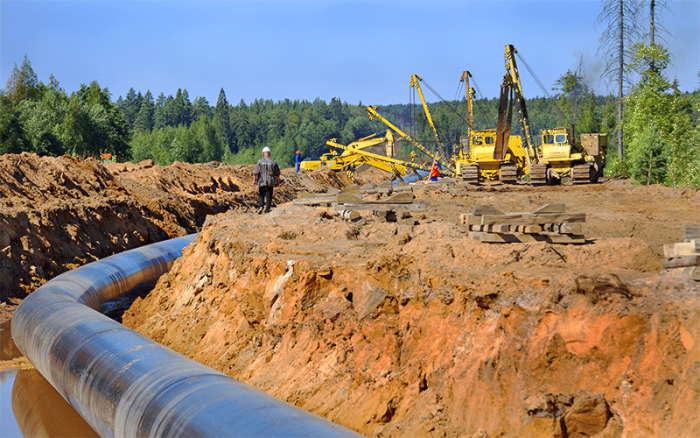 Boardwalk Pipeline Partners, LP (NYSE: BWP) is a midstream master limited partnership that provides transportation, storage, gathering and processing of natural gas and liquids for their customers. Through their subsidiaries, they own and operate approximately 14,090 miles of interconnected natural gas pipelines, directly serving customers in thirteen states and indirectly serving customers throughout the northeastern and southeastern United States through numerous interconnections with unaffiliated pipelines. They also own and operate more than 435 miles of natural gas liquids (“NGLs”) pipelines in Louisiana and Texas. In 2016, their pipeline systems transported approximately 2.3 trillion cubic feet (Tcf) of natural gas and approximately 64.8 million barrels (MMBbls) of liquids. Average daily throughput on their natural gas pipeline system during 2016 was approximately 6.3 Bcf. Their natural gas storage facilities are comprised of 14 underground storage fields located in four states with an aggregate working gas capacity of approximately 205 Bcf, and their liquids storage facilities consist of nine salt-dome caverns located in Louisiana with an aggregate storage capacity of 24 MMBbls. Boardwalk also owns three salt-dome caverns and a brine pond for use in providing brine supply services and to support the liquids storage operations. Click Here To View And Apply To All Of Boardwalk Pipeline, Inc's Available Positions!